This primer is different from other primers ... Why? The primer has a multi-colored formula! 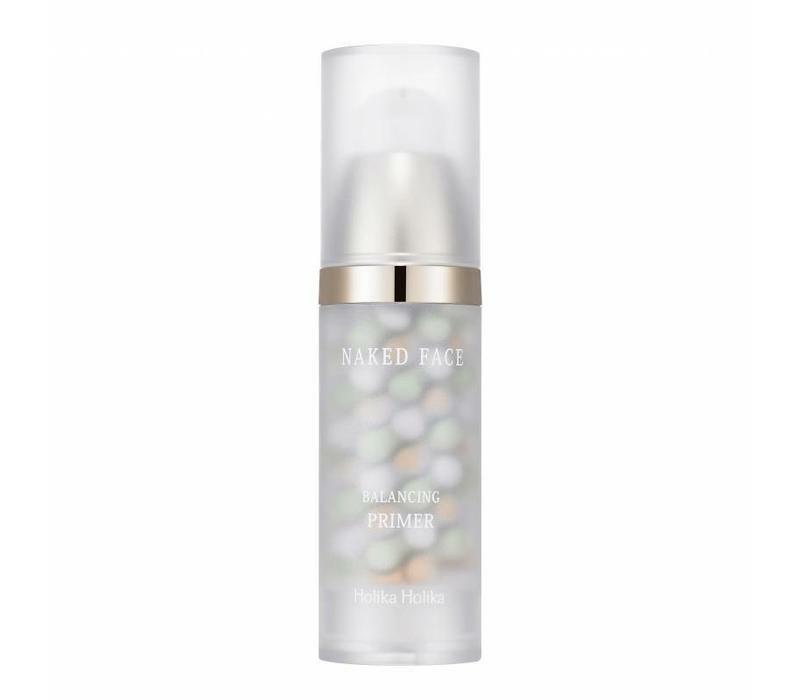 Holika Holika Naked Face Balancing Primer is therefore the perfect base for your make-up look! Green, peach and violate improve your skin tone and create an even look. The primer contains the ingredient hyaluronic acid which intensely hydrates your skin and gives you a beautiful healthy glow. Contains green, peach and violate. Gives your skin a beautiful healthy glow. After using your skin care routine, you use this primer as the first step of your make-up look. Pump 1-2 times and mix the 3 colors. Apply the primer to your skin from the inside out.